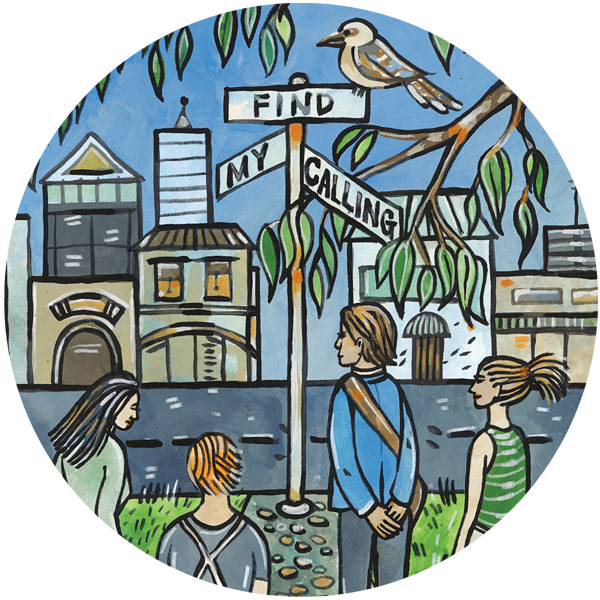 LIFE has developed a number of ‘find my calling’ programs to provide the right support for you. See below for a program list. $999 for individuals and contact us for group price. Groups (teams, organisations, families) needing help connecting, syncing and moving in the same direction when the wind changes in life. Sorry there are no programs that match that filter. Please try searching for a different term. Develop a career profile with you which will identify your aptitudes, knowledge, skills, experience and accomplishments, interests (people, information or things), work style, personality, work cultural fit, values, motivations, quirks and more. Explore career and/or study options and subject selection, recommend suitable job titles/courses to study to match your career profile, impart knowledge of the labour market and where the jobs are, and assist you to set realistic career/study goals. Assist you to prepare a professional resume (with ats compatibility), write a convincing cover letter, and respond to key selection criteria for selected jobs. Teach you how to conduct productive job searches using a variety of methods including face to face networking, online networking such as LinkedIn, other social media platforms such as Facebook, google and wechat, job boards and websites, and recruitment companies. Provide a safe and supportive environment to practice answering questions for behavioural interviews, and to negotiate an attractive employment contract. And to be equipped to find your calling not only now but for the future to meet the ever changing world of work. The members lounge is full of educational materials that can assist with a successful career transition including you tube videos, live webinars, webinar recordings, tip sheets, resume templates, labour market resources, the find my calling workbook, tools and more. Occupations and industries- engineering, accounting, finance, fitness, health, education, communications, construction, government including immigration, ATO and Defence force, the arts, music, theatre, trades, retail, IT, design, oil and gas, manufacturing, mining, law, science, property, ngos, and many more. Cultural: Australian, New Zealand, Italian, Serbian, Russian, Greek, German, French, British, Irish, Scottish, Chinese, Malaysian, Indian, Singaporean, Vietnamese, Fijian, Chilean, Lebanese, Korean, Syrian, Mauritian, Sudanese, South African, Russian, Kazakstan, Indonesian, French, Dutch and many more. Levels: All levels – high school leavers, graduates, tradespeople, general employees, specilalists, senior executives, government officials, business owners, entrepreneurs, contractors, gig getters, unemployed and more. Contact us: julie@nulllifeinstitute.com.au or phone +61 (0) 414 737 943.